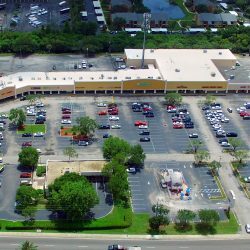 East Bay Plaza is a 85,426 square foot neighborhood retail center located in a densely populated trade-area in Largo, Florida. The City of Largo is a delightful community, complete with beautiful scenic parks, residential subdivisions and exciting activities for all ages. The property is located on East Bay Drive, a major artery of Largo with excellent visibility and access. The center is very active due to its location and tenant mix.